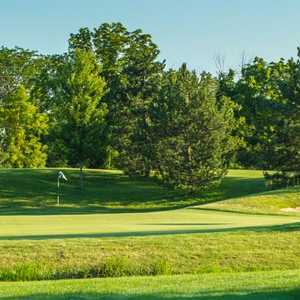 The 18-hole Carrington Golf Club in Monroe, MI is a public golf course that opened in 1998. Designed by Brian Huntley, Carrington Golf Club measures 6873 yards from the longest tees and has a slope rating of 137 and a 73.7 USGA rating. The course features 4 sets of tees for different skill levels. The 18-hole East at Raisin River Golf Club in Monroe, MI is a public golf course that opened in 1977. Designed by William Maddox, East at Raisin River Golf Club measures 6928 yards from the longest tees and has a slope rating of 122 and a 72. 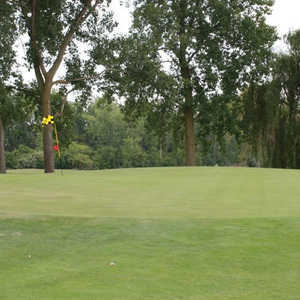 The 18-hole Green Meadows Golf Course in Monroe, MI is a public golf course that opened in 1973. Designed by Harley Hodges, Green Meadows Golf Course measures 6391 yards from the longest tees and has a slope rating of 196 and a 68. The Links at Lake Erie is one of southeastern Michigan's most popular public golf courses. The course sprawls across gently rolling terrain that is mostly open though there are a few trees scattered throughout. Without any residences near the golf course to worry about, the spacious layout provides plenty of room off the tees and around the green complexes. The 18-hole Monroe Golf & Country Club in Monroe, MI is a private golf course that opened in 1919. Designed by Donald Ross, Monroe Golf & Country Club measures 6400 yards from the longest tees and has a slope rating of 130 and a 71. 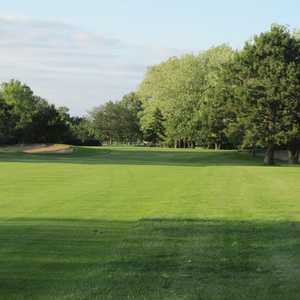 Sandy Creek Golf Course in Monroe, Michigan is one of the area's most popular public courses. With weekend walking rates less than $30, it's also one of the most affordable rounds you'll find. The 18-hole West at Raisin River Golf Club in Monroe, MI is a public golf course that opened in 1994. Designed by William Maddox, West at Raisin River Golf Club measures 6106 yards from the longest tees and has a slope rating of 114 and a 66.